Do You Know How SATISFIED Your Customers Are? If a customer is unhappy and they choose to vent on social media or on a public review site their comments can harm your reputation. A short survey provides them with a choice and offers you the opportunity to receive and respond to the feedback promptly and privately. At SatisfactionSurvey.ca we specialize in short online surveys with a focus on your People, your Product, and your Place of Business. 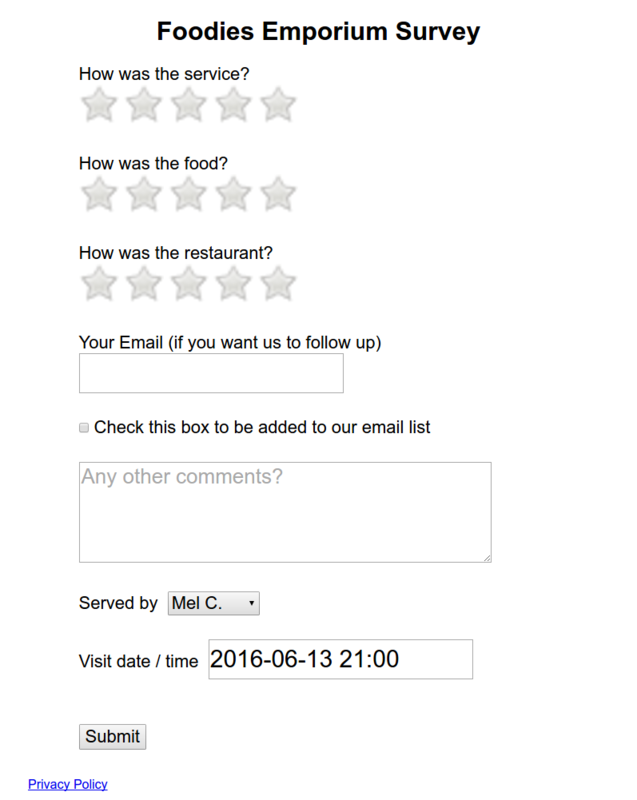 By providing a simple rating and offering the customer an opportunity to add their comments you can get a view of customer satifaction. By keeping the survey short, people are less reluctant to fill it out. 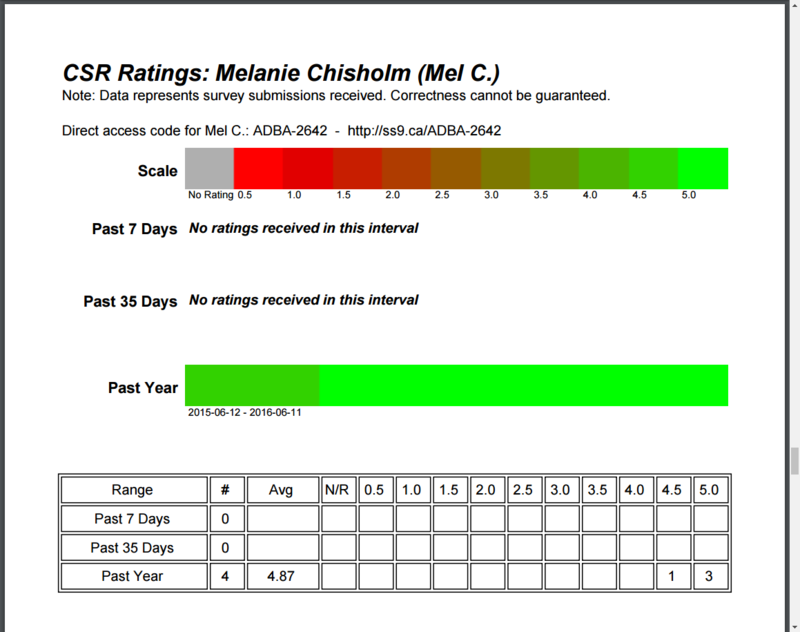 You can choose to receive an email when a new survey is submitted, and our Premium offering includes a weekly PDF summary report delivered by email showing your average ratings over the previous week, five weeks, and year. You can also customize the appearance (styling) of the survey, change the wording of the questions, and add additional languages if you so choose. We can also arrange pricing for multiple sites / locations, different styles of surveys, and more! Contact us (email preferred) to make arrangements.